​"This is an excellent book. Its systematic approach and its advancement of a clear typology, combined with a detailed assessment of the spread, the administration, and the effects of primaries, make it both unique and important. It is a valuable resource for readers not just in Canada, but globally." 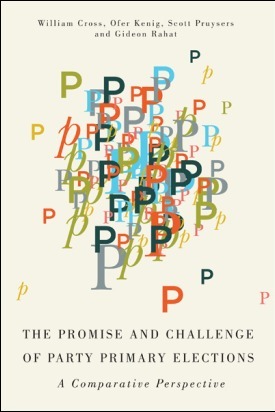 "At a time when populist politics appears to threaten party government this important volume explores the impact of the balance between the personal and the partisan in structuring and managing electoral choice and governance. Its sophisticated studies survey the challenges raised by personalism for democratic politics and define a research frontier for those concerned with the future of political parties."